Open Source Cloud Architecture not only has the offering of being of lesser cost setup, it has more security, more development and updates are expected from it. The selection of cloud architecture is one of the most important strategic decisions the companies and individuals are facing today. It is a prerequisite for the infrastructure that can improve the competitiveness of the whole enterprise. So, here is another article on Open Source Cloud Architecture, beside our old good read – Open Source Cloud mean more security. The statement – Open Source Cloud Architecture may be a true statement for hybrid cloud in order to exploit the potentiality of both private and public clouds. A hybrid cloud means that a company’s own data center infrastructure partly on own data-center. The tasks in a hybrid cloud infrastructure can be ideally very easy from the inside and outside. To find the right approach to build a hybrid cloud – it is one of the most important strategic decisions. Properly implemented strategies provide a cloud infrastructure the ability to reallocate the IT budget of simple maintenance of ongoing operations in the direction of innovation. Bigger the company is, more likely is the IT environment to be bigger. Far more often, however, the proliferation of technology and the silos have emerged historically unintentionally; companies have to live with all the associated negative effects. One of the biggest problems is the increasing complexity and the ever-increasing human and financial costs for the administration. A first and largely theoretical possibility of establishing a homogeneous infrastructure is to opt for simple things over again, as if in the open countryside to begin the life. But to replace everything at once is not a realistic option. A gradual modernization in many cases, by contrast, makes it easier. In this example, Unix systems are obsolete through the use of Linux on x86 servers. A second possibility is to enrich already existing proprietary virtualization platforms to self-service and then to move to the cloud. Alternatively, some companies have a dedicated database appliance which can be purchased for a specific application and then to deploy the application via cloud. But the result in both cases is an additional technology in the middle. It is meaningful and helpful in many cases and has a clearly circumscribed area of ? ?application for the relocation tested in the public cloud. On the often long road to an efficient use of cloud, companies should strive for an open cloud infrastructure. Such options are distinguished by a number of features and functions like of a proprietary solution. Following the business model of an open cloud, such as the use of physical servers and different virtualization platforms, further an open cloud is committed to the evolutionary model, thereby reducing the costs and risks on the future developmental path. 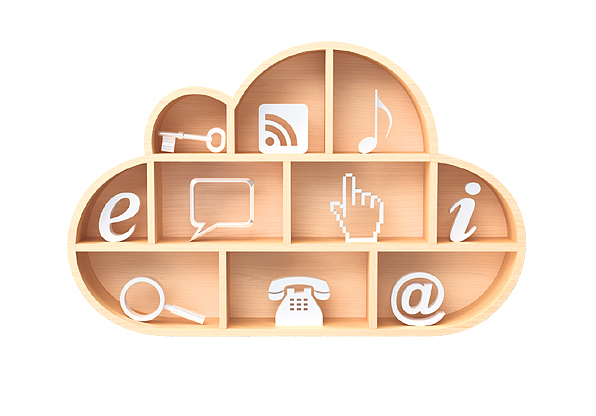 Companies can adopt the cloud solution and gradually increase with each step with the benefits. With an open cloud platform, the companies are independent. You can use the most appropriate software needed for the purposes and all the solution and components are free. One of the key aspects : In an open world, companies can easily port their applications from one platform another in a cloud and they can use it on the best possible platform, without having to modify the code. An open cloud should be on the open-source model-based. Companies are thus not dependent on the technological and economic strategy from a single vendor and have insight into the technology, which make their core business processes free. With open source, they can also cooperate with other communities and companies to accelerate progress in the areas that are important to them. An active and independent community support is always availble. With open source, it is not just about the code and the application and extension options. A central role to open standards, which are beyond the control of individual providers are limited to certain platforms. This promotes the interoperability and flexibility. Open standards enable companies the opportunity to develop varieties that meet their specific technical and commercial requirements. The use of technologies that are devoid of any binding or potentially and other restrictions, offers security. For the administration for an open and hybrid cloud, an additional layer of abstraction above virtualization, physical servers, storage and networking solutions as well as public cloud providers are available. In order to manage the cloud is independent of any particular virtualization technology. This is a prerequisite for hybrid clouds, including physical servers, various virtualization platforms and a variety of public cloud providers. This Article Has Been Shared 4233 Times! Distributed Replicated Block Device or DRBD is a free network storage solution software. Kernel module with an application serves as a block device on server. Cite this article as: Abhishek Ghosh, "Open Source Cloud Architecture : Business That Works," in The Customize Windows, February 23, 2013, April 26, 2019, https://thecustomizewindows.com/2013/02/open-source-cloud-architecture-business-that-works/.